Shenzhen Renwei Optoelectronic Co., Ltd.
Guangzhou Hongtap Digital Co., Ltd. 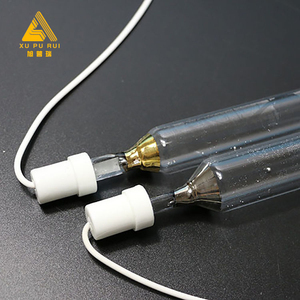 This is a kind of UV ink with wide application for plastic substrate materials. 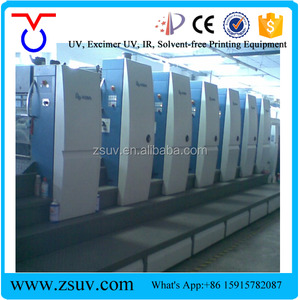 3.Comparing with usual UV ink that used for film, UVK 1200 is more width of water range. 5. 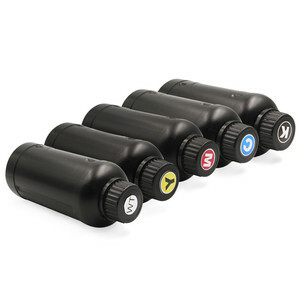 Suitable for waterless offset printing and water offset printing. Shelf Life: 12 months Series For PVC Cardboard: Model Number: JPA-CA series Scope of Applications: Bank card, member card, IC card etc. Shelf life: 12 months Series For Thermal Paper: Model Number: NCR series Scope of Applications: carbonless copy paper, thermal paper etc. Shelf Life: 12 months Series For Metal Sheet Materials: Model Number: JPA Series Scope of Applications: Metal materials: metal can, steel packages, etc. Scope of our products: Inkjet ink: primer, UV/LED inkjet ink, ECO inkjet ink and solvent ink. 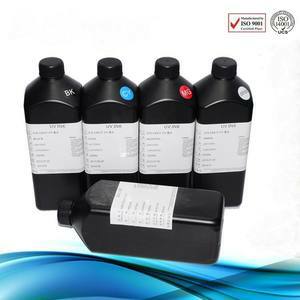 UV Offset ink: UV offset ink, letter press ink, LED UV offset ink. Building paint: putty, undercoating, waterproof coating, dirt off top coating and insulation coating. 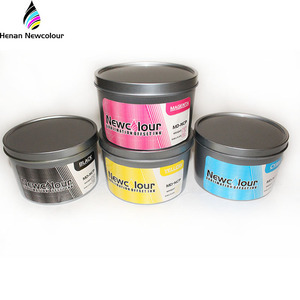 Product name : metal decoration UV curing ink for 3 piece can 1. 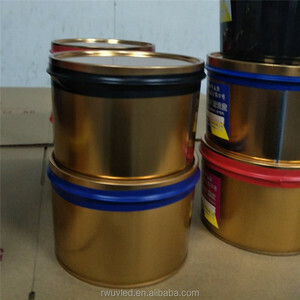 Suggesed use : 3-piece can : outside metal decoration UV curing ink 2. Specific Properties of Metal UV ink 1) Resin Type : Modfy Acryl ate 2) Tack (400rpm/32 &#8451; ) 8.0-15.0 3) T.N. V : 98.0 &plusmn; 2.0 % 4) Density : 1.2-1.7 3. Aplication Data : 1) offset ink 2) dry film weight L color) 1.25-2.5 um,(white ) 3.0-6.0 um 3) Curing Condition : 60-200mk/cm 2 (see different color ) 4. Law and regulation relater matter : 1) RoHS 2002/95/EC :Approval 2) Law of industial safely and health : Low 3) VOC : 0g/ 1 5. Additional Infromation : 1) Handling and storage : Avoid a direcr day of light , storage ar 5-25 degree 2)Shelf life : 1 year 3) Package : 1 kg/5 kg in a black plastic can 4)Stiriing well before use. Note : The information contained herein is based on tests and report considered reliable but is presented without guarantee or responsibility as to the applicability or correctness of this information or the suitability of out produts whether used singly or In combination with other products. 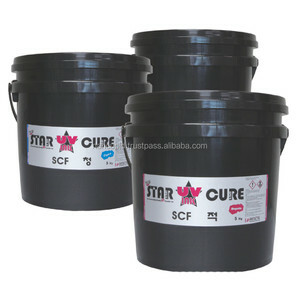 Supercolor promise: Customer foremost Quality assurance Sincere service Supercolor : 1. Import high grade raw material, fluent printing, do not hurt the printhead, no jam to printhead. Q2:What is the lead time9(How long will it take to prepare my goods9) A2:1-2days for sample orders, 3-5 days for bulk orders. Q4:How long will I need to wait to get my goods9 A4:2-3 days via air express, 2-6 days for by air, 20-35 days for by sea. Description: Printing substrate: Applying to the printing of transfer aluminium paper, high-grade dowling paper, artpaper, synthetic paper and other paper materials. High ink film intensity after curing, excellent abradability and resistance to solvent. 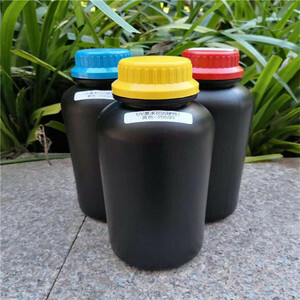 Please use such kind of durable ink if printing durability-required packings and labels. Printing materials more widely to support a wider range of image market applications. Traditional inks are solvent based and dry by allowing chemicals to evaporate over time. The UV inks are more vibrant since the ink does not have as much time to soak into the stock. Shenzhen Dong Hua Chemical Material Co., Ltd.
All those products find a good market and enjoy a good reputation at home and aboard. Can I get some samples before ordered9 Yes, samples can be provided if needed. contact us If you have any question,welcome to email us for more detail. 5&mu;m C y a n U V K 1 200 C 1 4~1 6 22 % ~ 26 % 3 7 &le;7 . 5&mu;m B l a c k U V K 11 00 K 1 4~1 6 20 % ~ 24 % 3 6 &le;7 . 5&mu;m W h i t e UV K 1 200 W 1 3~1 6 1 6 % ~ 20 % 3 6 &le;7 . 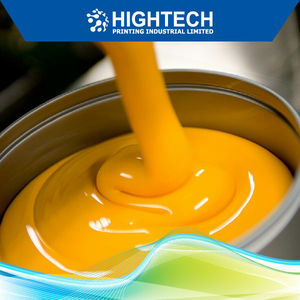 Alibaba.com offers 715 uv curing offset ink products. About 54% of these are printing inks, 4% are inkjet printers. A wide variety of uv curing offset ink options are available to you, such as uv ink, solvent based ink, and plastisol ink. You can also choose from offset printing, digital printing. As well as from free samples. There are 707 uv curing offset ink suppliers, mainly located in Asia. The top supplying countries are China (Mainland), South Korea, and Taiwan, which supply 95%, 1%, and 1% of uv curing offset ink respectively. Uv curing offset ink products are most popular in Southeast Asia, Eastern Asia, and Mid East. You can ensure product safety by selecting from certified suppliers, including 281 with ISO14001, 45 with ISO9001, and 40 with Other certification.